The trailer launch event of Kolaiyuthir Kaalam turned out to be an outrageous event after actor-politician Radha Ravi made sexist remarks on Nayanthara. His comments on the Lady Superstar stirred controversy and many demanded Radha Ravi to be banned from the film industry. In fact, KJR Studios even issued a statement that they will not work with Radha Ravi in any of the future projects. Now at another event, Radha Ravi asks, has he made any heinous crime and why should he apologise. Nayanthara Controversy: Chinmayi Sripaada Reminds How Radha Ravi Banned Her From Dubbing Union, Govind Vasantha Extends Support to the Singer‏. Radha Ravi was invited as the chief guest for the short film Enakku Innoru Mugam Irukku’s launch, reports India Today. The actor in his speech mentioned he’s not willing to apologise to Nayanthara. He was quoted saying, “Yes, I had said that if I had hurt anyone, I would like to convey my regrets to them (Nayanthara and Vignesh Shivan). I never apologised to anyone and it doesn't run in my blood. Why should I apologise? 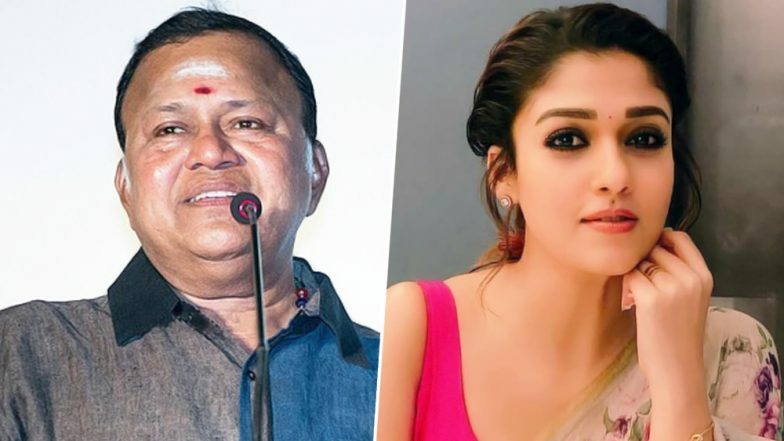 Did I commit a serious crime?” Radha Ravi even went on to say that he doesn’t think what he uttered at the event on Nayanthara was incorrect. He said, “Whatever happened to me is not even a big issue, it's all temporary. If my speech had enough truth in it, accept it, otherwise, ignore it.” Vignesh Shivan Comes Out in Support of Nayanthara, KJR Studios to Ban Sarkar Actor Radha Ravi From Future Projects. Nayanthara who usually prefers to remain tight-lipped, had issued a statement seeking ban on Radha Ravi from the film industry as well the DMK party. Besides the actress’ fiancé Vignesh Shivan there were many other celebs who came out and extended support to Nayanthara. And after Radha Ravi’s latest speech, there are many who have requested Nadigar Sangam’s general secretary, Vishal, to take action against Radha Ravi.